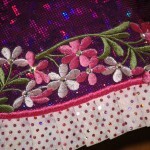 Beautiful purple and pink custom made dress with floral embroidery. 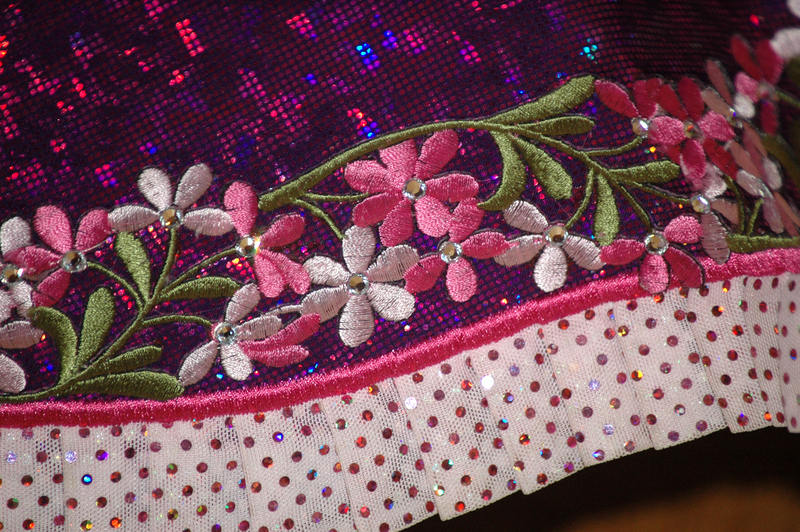 Fabric is shimmery purple and pink with sequins. 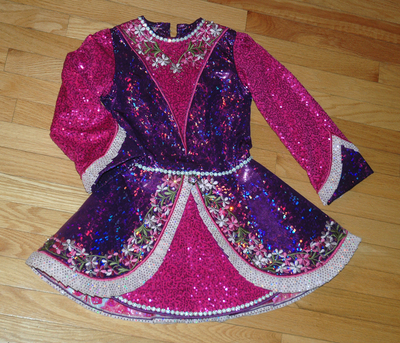 Hundreds of genuine Swarovski crystal make this a stunner on stage. 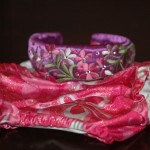 Headband has matching embroidery and crystals. Comes with cape and bloomers. Lots of let out and let down for a growing dancer. 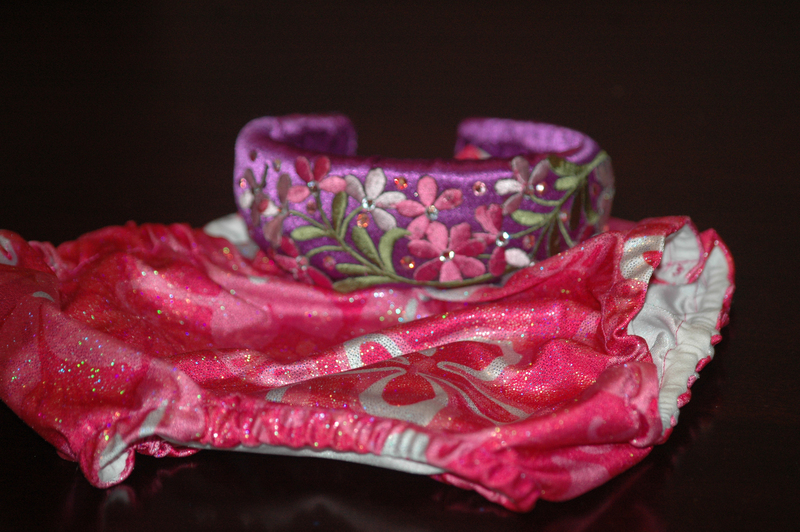 Asking Price: $US300. Shipping costs are included for my own country, overseas shipping is extra. Returns are negotiable.